For all intents and purposes, Bravely Default could have been a remake of Final Fantasy V. Each of the four main characters started as a blank slate with which you could build an ultimate team from the barest of scratch. If you need more than four characters for this formula, then you must have a serious imagination and knack for customization. How many winning combinations can one come up with? 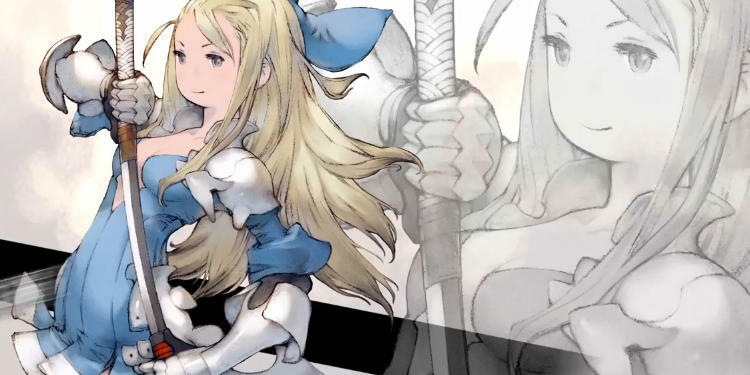 Bravely Second already stars four characters that we know about, Magnolia and the Three Musketeers Yuu, Jean, and Nikolai, but a newest fifth confirmed character has panned out to be returning leading lady Edea. A livestream with Square Enix confirmed that she will be playable, meaning yes, you will be swapping characters in and out of a party system, drastically altering the philosophies behind its RPG elements. Adding a fifth character into the mix means players will be switching personalities into their party, not skill sets. Which character do you like better and want to fight beside? Which character do you actually want to put the effort into building up? This leads me to think Bravely Second is going to be putting story over gameplay for this sequel. All Final Fantasy games after Final Fantasy V do this. You don't choose Vincent over Barret because he's better for a situation. You choose him because you like him more. Bravely Default didn't require such thinking because it only had four party members for the entire game that you could really focus on. Likewise in Bravely Second, it's not what jobs your characters take on that will determine your progress or dialogue, its which character you'll have in your party at the time. Of course, Square Enix could be working on a way to ensure that your characters can be unique from one another come the endgame. The livestream also discusses how players will have to choose between asterisks and job classes in certain scenarios. An example provided from the game shows our heroes settling a dispute between two rival enemies. Ultimately, they will have to side with one. A last bit of information talks about a new job class, the Patisserie. Yes, along with handling cats, Bravely Second is going to allow players to use ingredients to bake cakes! Cakes will cast status effects and debuffs on enemies and also buff and heal allies. Interesting information for what is one of the most exciting sequels of the year. Bravely Second launches in Japan for the Nintendo 3DS on April 23. I'm hoping we play this one in English before the end of 2015.